/ Best Calzone in Destin FL / Finally it’s T.G.I.Freedom Friday NFL PATRIOTS vs LIONS, PGA & MLB & $9.99 2-Topping Calzone w/Beer! 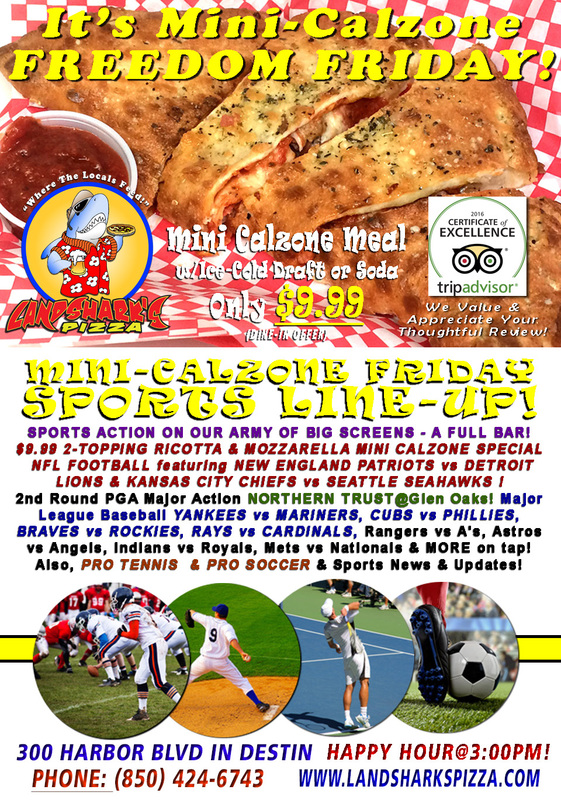 Finally it’s T.G.I.Freedom Friday NFL PATRIOTS vs LIONS, PGA & MLB & $9.99 2-Topping Calzone w/Beer! Just in case you were wondering where to go to get in some exciting sports action, award-winning food, bone up on some fantasy football, and keep company with some really good-looking locals, you should know we’ve got football, golf, baseball & more at Landshark’s along with a 2-TOPPING RICOTTA & MOZZARELLA MONSTER MINI-CALZONE with an ICE COLD DRAFT or Soft Drink only $9.99 dine-in special to go with great sports on an army of big screens and a full bar! 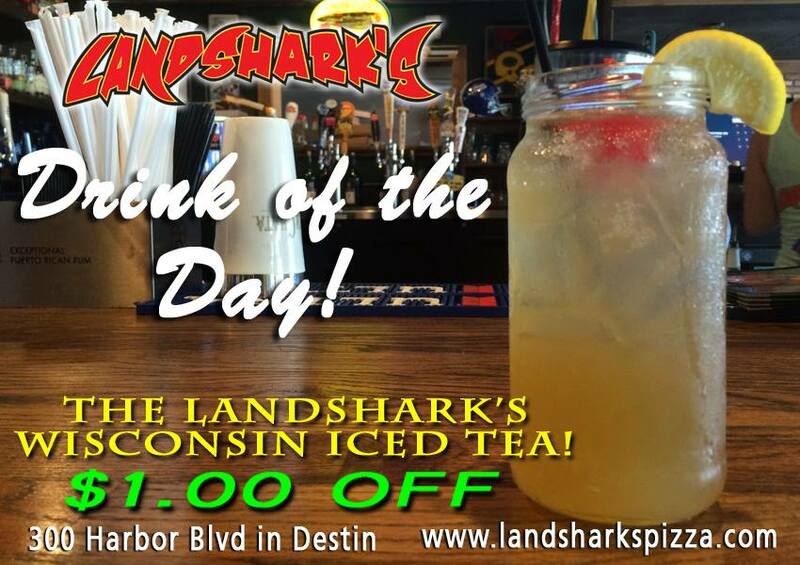 LANDSHARK’S DRINK OF THE DAY – $1.00 OFF today’s drink is the Landshark’s ‘WISCONSIN ICED TEA’ cocktail! SPORTS ON OUR ARMY OF BIG SCREENS – NFL FOOTBALL featuring NEW ENGLAND PATRIOTS vs DETROIT LIONS & KANSAS CITY CHIEFS vs SEATTLE SEAHAWKS! 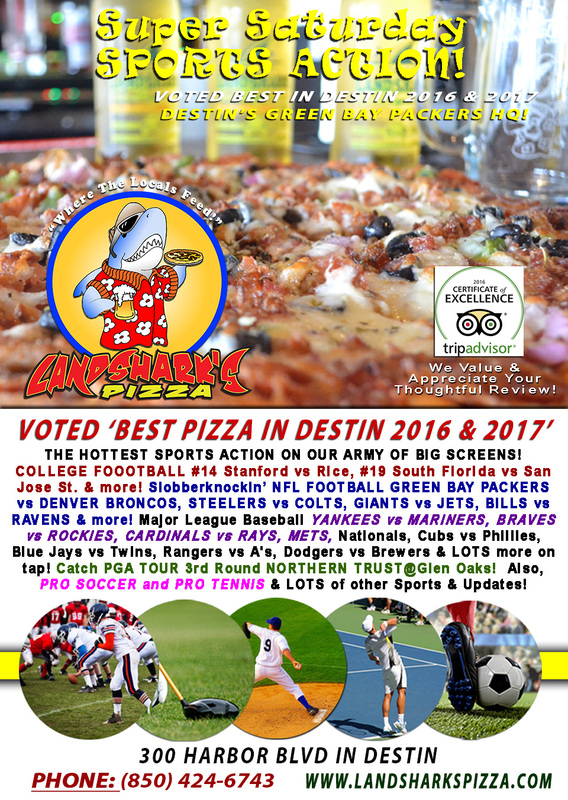 Major League Baseball bringing you YANKEES vs MARINERS, CUBS vs PHILLIES, BRAVES vs ROCKIES, RAYS vs CARDINALS, Rangers vs A’s, Astros vs Angels, Indians vs Royals, Mets vs Nationals & LOTS more on tap! PGA TOUR 2nd Round from The PGA NORTHERN TRUST@Glen Oaks. Also, PRO TENNIS and PRO SOCCER coverage plus plenty of other Sports Broadcasts, Sporting News, Analysis, and Commentary! College Football This Week: Saturday includes #14 Stanford, #19 South Florida, BYU, Oregon State & more. NASCAR This Week: Xfinity Johnsonville 180@Road America|Monster Energy Cup Series Bojangles Southern 500@Darlington Raceway. 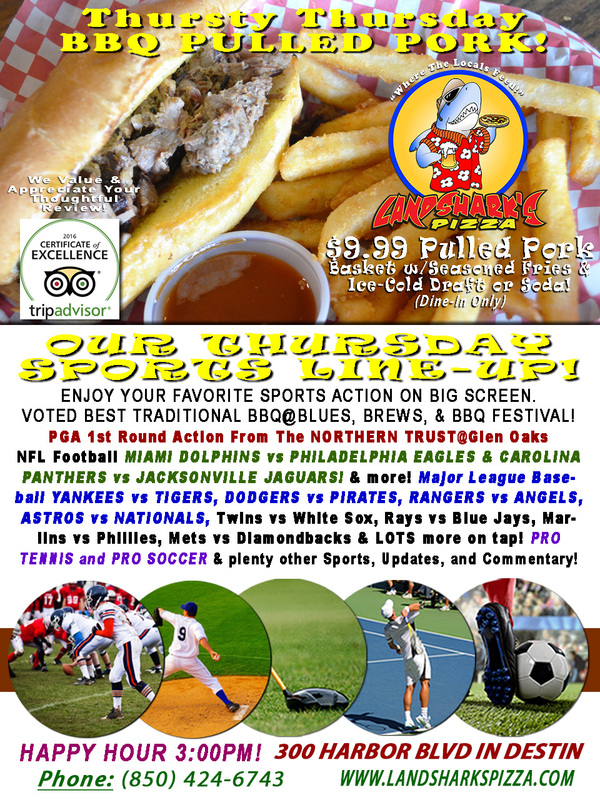 Previous Post: « Watch Thursty Thursday NFL FOOTBALL, PGA Northern Trust & MLB, $9.99 Slow-Smoked BBQ Basket & Draft or Soda!